I had a lot to say about the first Life is Strange in a post I did last year, these posts won't be as long as that one and I will be making the posts for Life is Strange: Before the Storm into a three-part series. 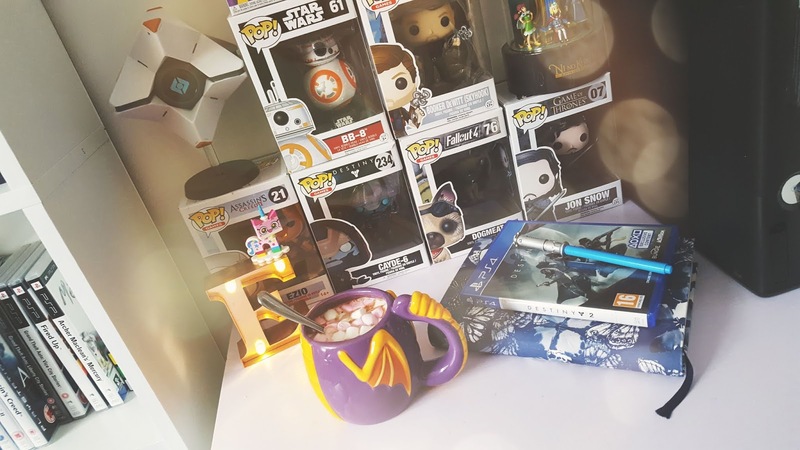 For my birthday I decided I would use my PSN cards to buy the new Life is Strange, I'm terrible for waiting for things and end up getting them before I'm meant to. I promised myself I would wait until after Christmas to get this game but I have in far too fast. I was so worried about the release of this game but the worry faded away once I saw the official trailer and gameplay for it, for those wondering if you need to play them in the order they came out in me, honestly wouldn't worry, they will make sense whichever way around you play them. Before the storm tells us the story of what happened before the first game anyways. 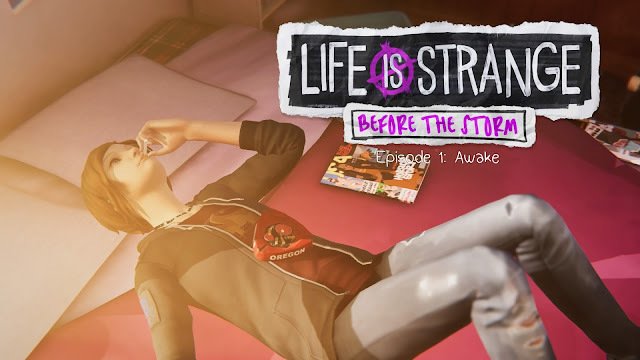 Before the Storm has brand new creators that worked on this game, originally DontNod worked on the first Life is Stange but the new team working on Before the Storm are Deck Nine. As soon as I started Before the Storm I could tell the subtle differences in the game, this isn't a bad thing. To be honest, they have done a brilliant job with the game from what I've seen so far and I have fallen in love with graphics and storyline already. Before the storm only has 3 Episodes but in the screenshot, I took for the episodes you can clearly see that things will start to get heated, especially the last episode. In Before the Storm we get to play as a rebellious teen called Chloe Price (without blue hair which she obviously doesn't have in this first episode yet), we met her pretty early on in the first Life is Strange and learned her and Max were close at one stage, this is where Before the Storm comes in. It tells us more about Max moving away and barely keeping in touch with Chloe anymore and how she reacts to the way Max was treating her. I felt so bad for Chloe as you can tell how badly she misses Max and Max is not making much effort with Chloe, I personally know how that feels although mine is the other way around, I moved away and people started to speak to me less and less even if I did try. Not only is Chloe dealing with Max moving away she is also still dealing with the death of her dad which happened three years previously after he was killed in a car accident, her relationship with her mum is going downhill because of it and she despises her mums boyfriend, but I would react the same way too if a man came into my mums life and started to tell me what I can and can not do. Chloe soon meets and develops a friendship with one of the most popular girls in school, Rachel Amber, they meet at a gig one night and a friendship blossomed from there. The thing about Rachel and Chloe is they're alike in some ways, they are able to open up with each other without barely knowing one another which can be a great thing when it comes to forming a friendship. I sat there playing the game taking everything in thinking to myself about the outcome for both of them and it really upset me, I felt as if I was watching their very demise and it felt a bit morbid in a way. 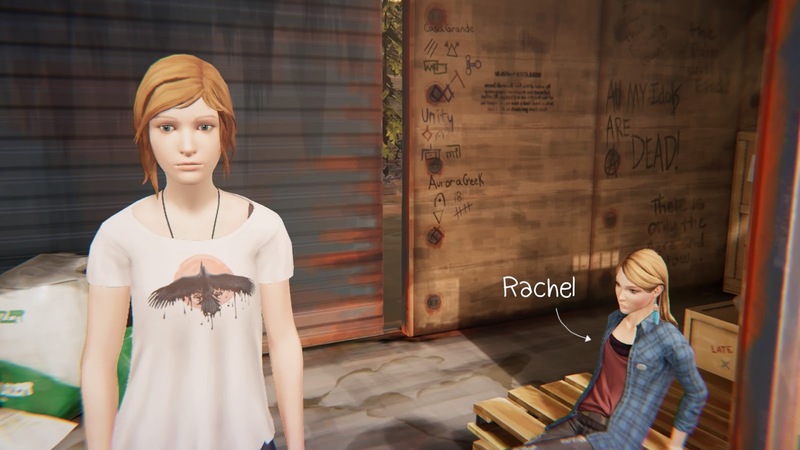 The locations in the game look pretty much the same, the school and Chloe's house felt a lot more of a brighter place than the first game and we go back to the junkyard again, where we found out that Chloe and Rachel use to hang out in from the first game. 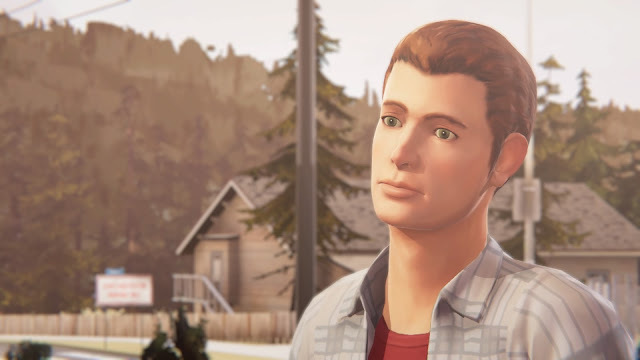 The introduction to new characters had me excited, there obviously are a lot of old faces in the game, you get to see a different side to Nathan than you did in the first game, but the way he is treated in Before the Storm must be why he acted the way he does in the first game. Victoria is still her bitchy old self so there is no change there but we do learn how much she admires Rachel Amber! 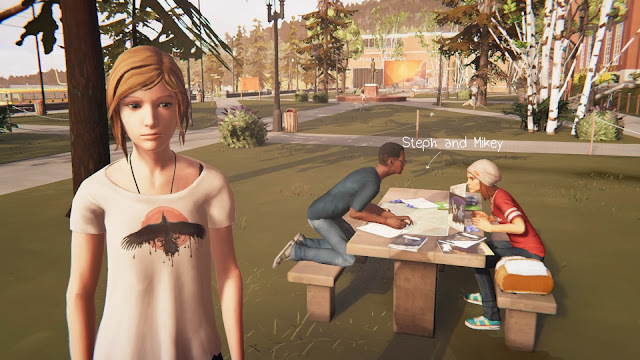 I really like the new characters, Eliot, Steph, and Mikey, I think they bring out a different side to Chloe than she puts on. One thing I was worried about in this game was there being no Max to reverse time, what would they replace that with? 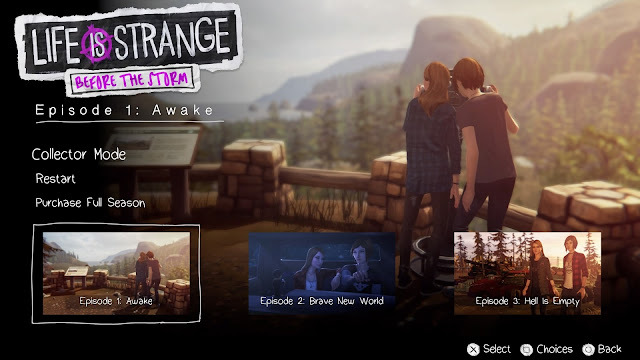 It seems they have used Chloe's dreams as a way to make things that more interesting, they must feel so weird and real for Chloe as she is able to speak and see her dad in them which is heartbreaking, I'm not sure if being in Chloe's dreams is because the episode is called Awake but I like it. Your actions will still have consequences in the game and without the rewind feature you will need to choose your words wisely, I tried to go with the polite option most of the time to see what happens and so far nothing too bad has happened. The trophies were really easy to get, yes I did cheat a little bit and look at a guide, I got all the trophies for the first game and still love playing through it even though I've got everything I needed to get in the game.